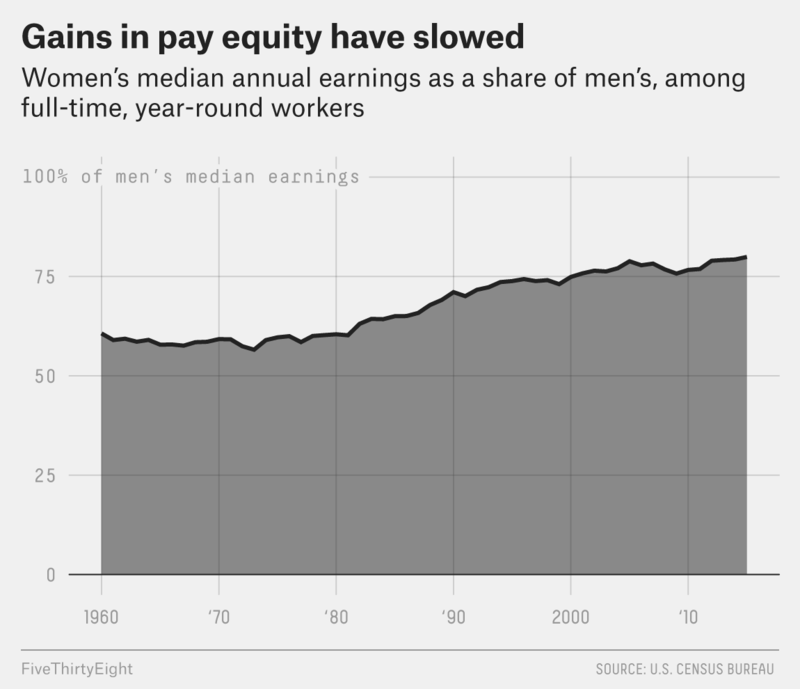 How Much Progress Have We Made Since Women Went On Strike In 1970? Protesters march toward Trump Tower for the New York City Women’s March in January. In 1970, women’s rights activist Betty Friedan helped organize a disruptive feminist protest to mark the 50th anniversary of the ratification of the 19th amendment, which guaranteed women the right to vote. On Aug. 26, 1970, over 50,000 women crowded Fifth Avenue in New York City for the Women’s Strike for Equality March. The strike had three primary goals: equal opportunity at work and in education, a right to medical support for abortion, and free 24-hour child care. On Wednesday, nearly half a century after Friedan’s demonstration, women across the country will once again hold strikes and protests, in a different political context this time, but with similar goals. Organizers of the Women’s March on Washington, which drew hundreds of thousands of people to the nation’s capital in January, have called for A Day Without a Woman strike on March 8. (The date is also International Women’s Day.) Advocates are calling for women to participate in the strike by taking the day off from work, refusing to spend money except at women- and minority-owned businesses, or wearing red. Today’s movement has a longer list of goals than Friedan’s, including such issues as protecting the LGBTQ community from work discrimination and supporting undocumented and migrant workers. But the basic principles are much the same. So it’s worth checking in on how much progress American women have made since 1970 on the original movement’s goals. In 1970, women made up only 38 percent of the paid labor force, and that share was even smaller in many of the best-paid industries. As a result, the Women’s Strike for Equality focused in part on women who typically participated in unpaid labor at home. Women have narrowed the workforce-participation gap significantly over the past four and a half decades. Forty-seven percent of the labor force is now women, and in some industries, such as health services and education, women make up well over half of all employees. But women are still underrepresented in executive suites and in many of the most highly paid professions. Just 27 percent of chief executives are women, along with 38 percent of surgeons and 23 percent of computer programmers, according to data from the Bureau of Labor Statistics. “It’s clear that there are more doors open to women, but the disadvantages are also clear,” said Lisa Maatz, vice president of government relations for the American Association of University Women. Among full-time workers. Latest data available (years 2012-15). Some demographic groups lag even further behind. According to an analysis from the Economic Policy Institute, a liberal think tank, while white women make 81 percent of what a white man does, black women only earn 65.1 percent of what white men do, while Hispanic women make just 59.3 percent as much as white men. The gender gap has persisted despite the fact that women are now earning bachelor’s and advanced degrees at higher rates than men. Women earn less than men, on average, at every level of education. “If women can’t educate themselves out of the gender wage gap, then there must be something else going on,” said Elise Gould, senior economist at the Economic Policy Institute. The U.S. hasn’t even come close to achieving the 1970 march’s goal of free round-the-clock child care. In 1971, Congress passed the Comprehensive Child Development Act, which would have created a federally funded child-care system. But President Richard Nixon vetoed the bill, which he said would “diminish both parental authority and parental involvement with children.” The U.S. has never again come close to offering universal child care. As a result, child care in many parts of the country costs more than a majority of residents can afford. In Washington, D.C., home to the nation’s least-affordable child-care market, annual infant care costs $22,631, or 35.6 percent of the median family income, according to the Economic Policy Institute. In Massachusetts, infant care costs $17,062 per year, or 19.5 percent of the state’s median family income. And even in Mississippi, where infant care is cheapest, it costs $4,822, or 10.8 percent of median family income. The U.S. Department of Health and Human Services considers child care unaffordable if it exceeds 7 percent of a family’s income. Unaffordable child care not only saps family’s finances, Gould said, it often keeps women out of the workforce. “If parents can’t afford child care, it makes sense for the one earning less money to stay at home,” Gould said. “That often falls on the mom,” even before factoring in cultural expectations, she said. Other countries do far more to make child care affordable. In 2013, the U.S. ranked 31 out of 33 surveyed OECD countries in public spending on family benefits. The U.S. spent 0.688 percent of its gross domestic product on family benefits in 2013; by comparison, Iceland, which offers heavily subsidized child care, spent 3.627 percent. The 1970 women’s strike came just months after New York became one of only two states in the country that had legalized abortion.3 Three years later, the Supreme Court ruled in Roe v. Wade that the Constitution protects the right to abortion nationwide. Since then, however, a succession of court rulings have chipped away at that right, and in recent years states across the country have passed laws making it harder to access abortion services. More than 1,000 restrictions — such as mandated parental involvement for minors and limits on public funding for low-income women — have been enacted in the U.S. since the case was decided in 1973. In part because of those laws, abortion clinics across the country have closed. Texas has lost at least 30 clinics since 2011, according to a 2016 analysis by Bloomberg. Even in blue states, which are generally supportive of abortion rights, clinics are closing. Since 2011, twelve clinics in California have closed, along with others in Washington, New York, New Jersey and Connecticut. Trump has already taken other action against abortion rights. In January, he reinstated the so-called Mexico City Policy, which states that nongovernmental agencies abroad must not provide abortion services or they will be ineligible to receive U.S. federal funds. First introduced by President Ronald Reagan in 1984, it has been rescinded and reinstated by Democratic and Republican presidents ever since. These calculations don’t take into account differences in education, experience, hours worked, job title or other factors. OECD uses the most recent data available for each country, which ranges from 2012 to 2015. Hawaii had also legalized the procedure, but its ruling applied only to Hawaii residents.